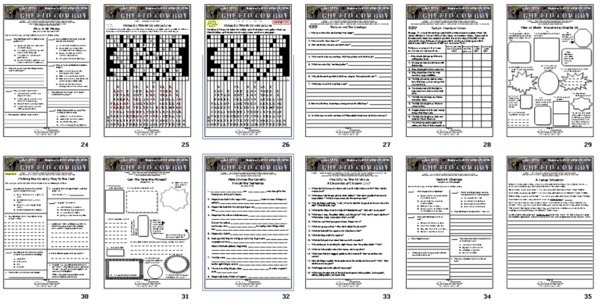 You can purchase the 42-page unit PLUS a 53-slide Jeopardy-type game for Cowboy Ghetto for immediate download for only $19.95! 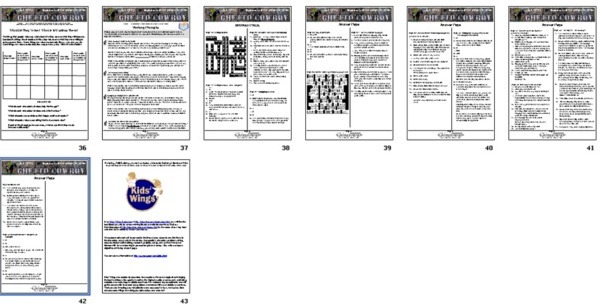 Click Here to Purchase and Download through Teachers Pay Teachers. Growing up in Detroit has not been easy for 12-year-old Cole. With Mama working two jobs, Cole is often home alone with nothing to do, so he is draw into street gangs. He has been skipping school for weeks now. Recently, the truant officer caught him tagging the back of the cafeteria during school. In a conference with the principal, Mama is informed that Cole has been expelled for the rest of the school year. Desperate for some help, Mama makes the most difficult decision of her life. In spite of his protests, she will take her rebellious son to his father whom he has never met, in Philadelphia. To Cole's surprise, his father, Harper, is a black cowboy struggling to meet ends as he runs a ramshackle stable and uses horses to pull street kids awary from the danger of gangbangers. He speaks Cole's language, the language of urban slang and introduces him to a new language ... the language of the first cowboys. Will adding Cole to Harper's problems be the last straw? Is there any way to reshape Cole's defiant attitude? Is it possible that the Cowboy Code may hold the power to break this hard-headed colt? Will the stables survive the City's attempt to bulldoze them and replace them with a mall? The story is told in authentic urban slang, but cursing is limited to a few inclusions of d--- and h---. The problems of poverty and disdain for modern laws come through plainly and dictate that readers' discussion be part of the mix. 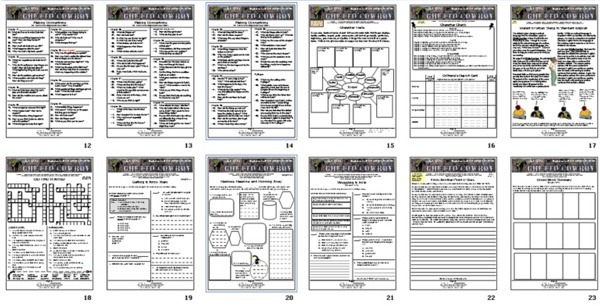 The Kids' Wings literature guide invites group discussion, weighing options, creating a chart of foundational values, problem solving, research, writing, skill building, and authentic writing prompts and a culminating interactive Jeopardy-type game. 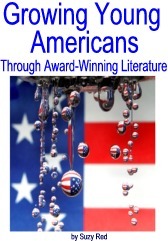 Teachers who want students to understand that education and character create viable choices for young street kids through a compelling story will make this book part of their classroom libraries. 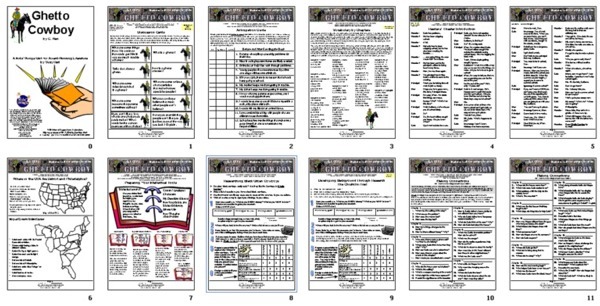 The 42-page Kids Wings literature guide and Jeopardy-like interactive game for Ghetto Cowboy provides multiple layers of activities, group projects, skill building, and problem solving. 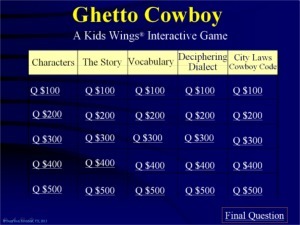 A 42-page unit PLUS interactive Jeopardy-type game, perfect for lesson plans, handouts, or projection on your SmartBoard for Ghetto Cowboy is now available! Where in the USA Are Detroit and Philadelphia? What Did They Value? What Is It Worth to Them? Buy Ghetto Cowboy by G. NeriNOW!